An analytical tool to help you clean up your social media accounts. 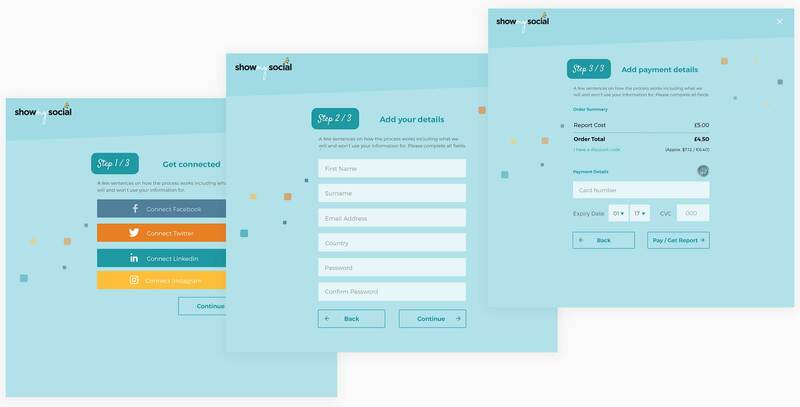 Show My Social is a social presence reporting tool. It enables individuals to gain an overview of their social media accounts and how they are perceived by prospective employers, landlords etc. The tool affords the opportunity to review and pinpoint everything - from profanities and negative emotions, through to interests, social proximity and employment history. We were tasked with design and development of the site and its corresponding report output. The landing page repeats a strong CTA to "Get Your Report" throughout. 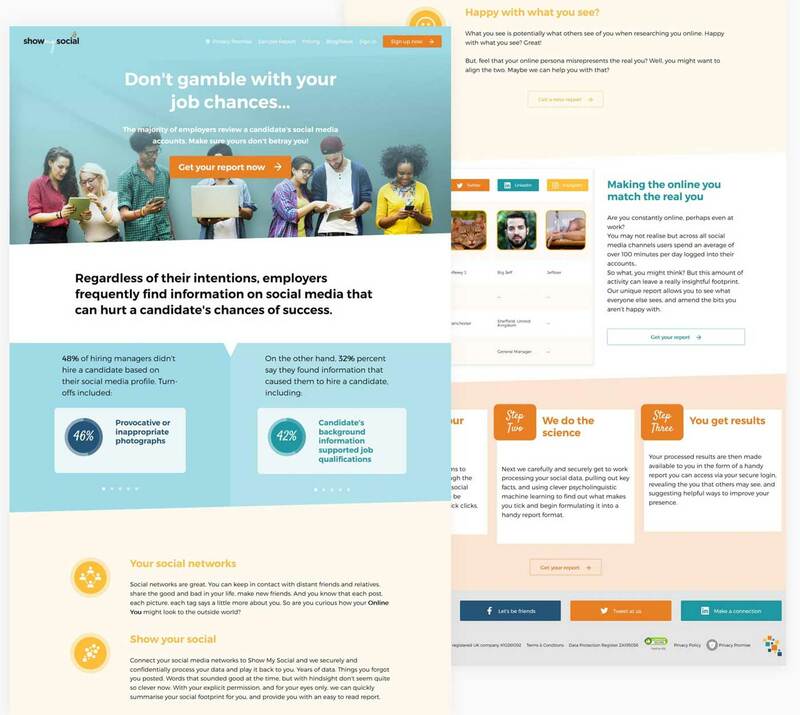 Assymetrical segments, colour blocks and the use of subtle visual interactions ensure the user gains an overview of the site's function at a glance. A small fee is required to access the social media reports so it was imperative that the payment process be as intuitive and straightforward as possible. A step by step screen guides the user clearly and intuitvely through the checkout procedure.